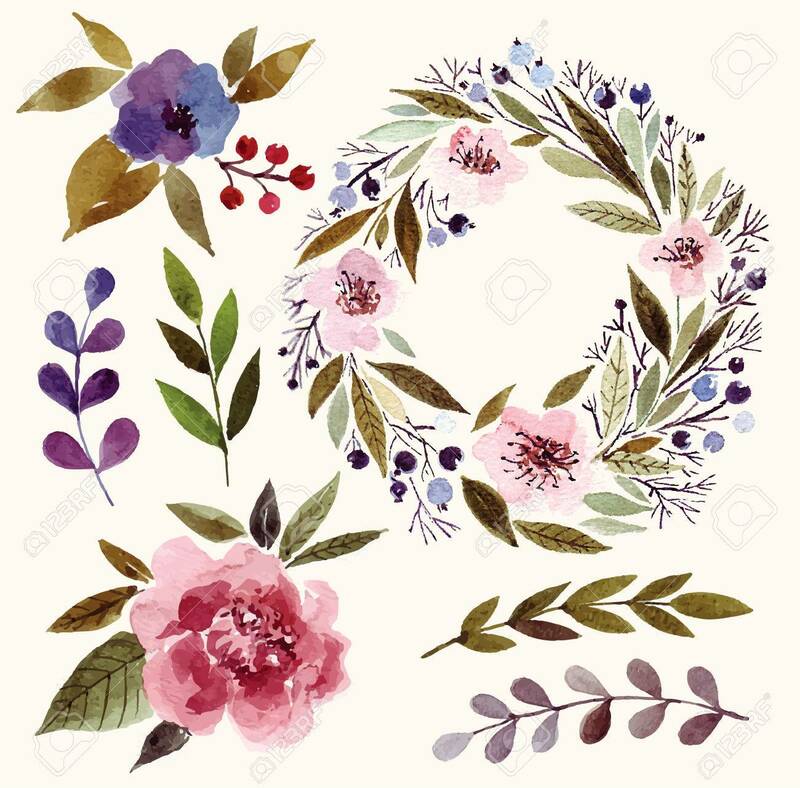 Watercolor Floral Elements: Flowers, Leaves, Branches, Wreath. Royalty Free Kliparty, Vektory A Ilustrace. Image 38617759. Reklamní fotografie - Watercolor floral elements: flowers, leaves, branches, wreath.